Municipal domestic water systems. Municipal water providers use disinfection to ensure water is potable when it leaves the treatment plant, but by the time the water gets to a facility, it most likely contains impurities, including Legionella. This factor alone usually does not represent a significant risk, but dirt is food for bacteria, and the amount of bacteria and dirt in the water directly influences the way the water will age and the extent to which biofilm develops within building systems. A facility regularly experiencing poor water quality should consider point-of-entry filtration, either by using stages of bag filters, mechanical screen filtration systems, on-site-generated supplemental disinfection, or a combination of these. Domestic cold-water systems. These systems are normally below the temperature range conducive to Legionella growth, but they can harbor and grow Legionella if the piping is uninsulated and routed near hot water piping — whether domestic or hydronic — especially in enclosed riser chases that have little or no ventilation. Under these conditions, cold-water temperatures can rise into the temperature range in which Legionella is more likely to grow. Ice machines served with only cold water also can be a source of Legionella contamination. These machines can warm the water and grow bacteria, which then can be inhaled by a patient chewing the ice. Managers can limit the risk by limiting the amount of Legionella present in the entire water system, replacing filters regularly, and flushing of ice machine supply lines. Domestic hot-water systems. These systems typically include storage tanks, piped distribution systems, master temperature mixing valves, sensor faucets with point-of-use mixing valves, flow-control devices within faucets, and water-hammer arrestors. Patient showers include mixing valves, hoses for hand-held wands, and spray heads, and all of these components are conducive to Legionella growth, which can become aerosolized near patients via faucets and showers. Water temperatures within hot-water systems can vary widely. Storage tanks are hopefully kept hot enough — 140 degrees or higher — but uncirculated tanks allow stratification of temperature layers. Also, depending on local codes and anti-scald measures, hot water might have to leave the main heating equipment at 120 degrees. Even with 24/7 circulating pumps, the inherent difficulties of balancing complex hot-water distribution systems can result in a temperature-variation free-for-all. To add more potential risk, many fixtures might be infrequently used and located at the end of a long uncirculated branch pipe run. Hot water in piping serving those fixtures will cool off and might spend much of the day in the perfect temperature range for Legionella growth. If the fixture in question is in an intensive-care unit room, the risk of life-threatening infection is much higher than if the fixture is in a non-patient area. For a maintenance and engineering managers, ensuring a balanced system might be necessary. Replacing old balancing valves with new thermostatically operated balancing valves can help to maintain desired temperatures in the supply piping. Providing faucets with programmable flush operation at seldom-used fixtures can aid in preventing stagnation, and having supplemental disinfection or copper or silver ionization treatment for the hot-water system can limit biofilm formation in the piping system. Cooling towers. 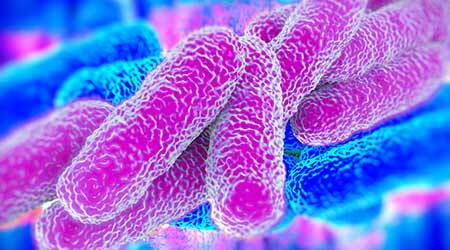 Improperly maintained cooling towers have been blamed for multiple Legionella outbreaks in recent years. The CDC, the U.S. Environmental Protection Agency and ASHRAE are addressing this issue and have provided guidelines and recommendations for cooling tower design, siting and operation. Newer towers with high-efficiency drift eliminators, automated controls for water temperature maintenance and blowdown, as well as microbial control systems using filtration, biocides, and copper or silver ionization, have helped eliminate this threat. But diligent maintenance is most important. Any facility’s water management plan must include plans for operating, maintaining, shutting down, starting up, and testing water quality in cooling tower systems. Humidifiers, fountains and whirlpool. These components often are included in lists of Legionella-harboring equipment. Decorative fountains and whirlpool therapy tubs that generate water vapor have fallen out of popular use. For example, new hospital designs do not include them because the widely known risk of hospital-acquired infections associated with them.